These are just the wind down days at the end of the trip. Most of the group are staying on for a day or two, relaxing in Cartagena with some sun before heading back to work. We had the traditional departure meal in very good spirits and though it’s always a shame when good times come to an end, it’s good to recognise the skill, patience and work of the people who got us round in one piece – although very diverse in cycling abilities, time off the bike has been great fun in good company. We win a prize – for eating the most eggs, though carnivores ate the same breakfast each day, had the same rice, plantains and sad salad each lunch but with either chicken or meat, or meat or chicken. The Colombian Masterchef is yet to kick off. Most locals continue to struggle to have enough to eat nevermind reject food, like me, because they don’t fancy it. 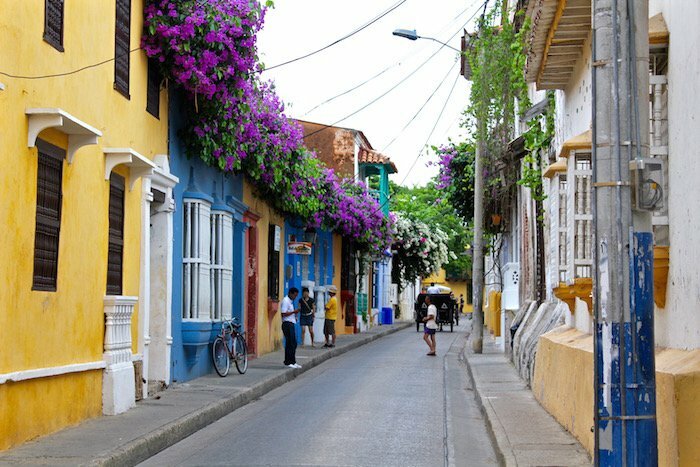 It is instantly clear that Cartagena is not representative of Columbia. At a museum we learn that Cartagena was key to the Spanish South American empire. A port where they exploited the incoming slave trade and exported the stolen wealth of the cultures and peoples they destroyed. Now it is completely uncharacteristic of Colombia – it’s cosmopolitan, sophisticated in a garish way and trammeled by the excesses of the West, America in particular. Its prime purpose is now to extract the tourist dollar. The old walled port and town is a UNESCO world heritage site and is ringed by a modern skyscraper city which we won’t see. 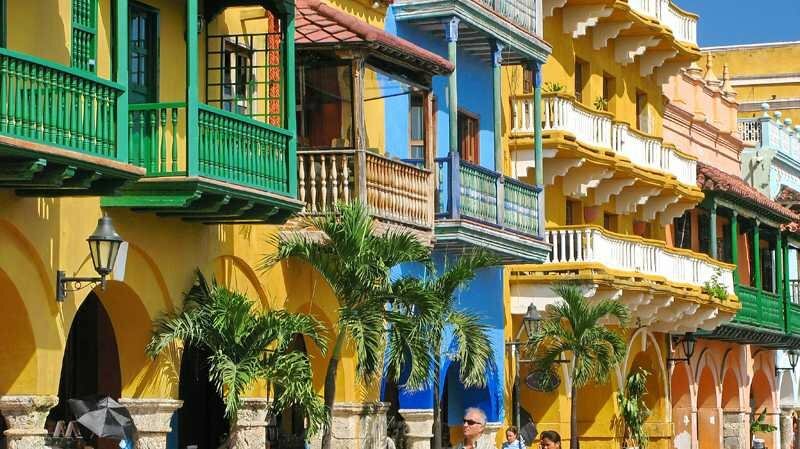 You can walk most of the walls, either overlooking the Caribbean or the tiled roofs of the city and see the modern world just over the water. It’s built close by a mangrove swamp, carefully managed and controlled by the indigenous Zenu people long before the Spanish came along. The city encloses a perfect harbour to shelter the Spanish treasure galleons. 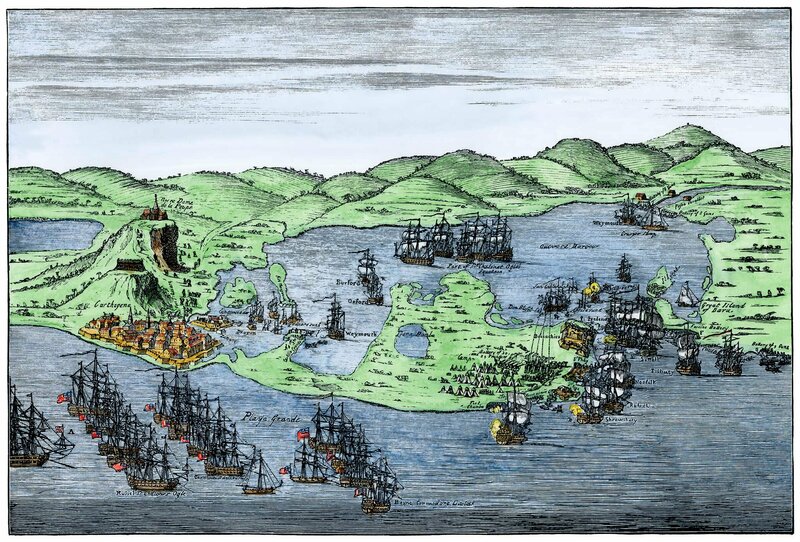 However the pernicious pirate Francis Drake ransacked the city in the early 1600s, stealing the gold the Spaniards had stolen and leading to the defences we can see today. It’s a tightly packed Spanish city with tall houses, cool courtyards, running water trickling in the background, narrow streets with wooden balconies and churches aplenty. It is a really lovely place and in danger, if not already, of being completely swamped by eager tourists. There are horse carriage taxis dragging folk around happily clicking away, sometimes 20-30 in a line and the occupants have a group number in case they stray from their guide. Almost every opening is a shop, gallery, boutique hotel, bar, restaurant or historic monument. The remainder are lined with fruit sellers, the sun glasses man walking about, Cuban cigar man, the man flogging El Patron (Escobar) t shirts and every trinket you never knew you didn’t want. Again, they nearly all retire after a polite “No thanks”. There have only been three places in Colombia where English was an option. 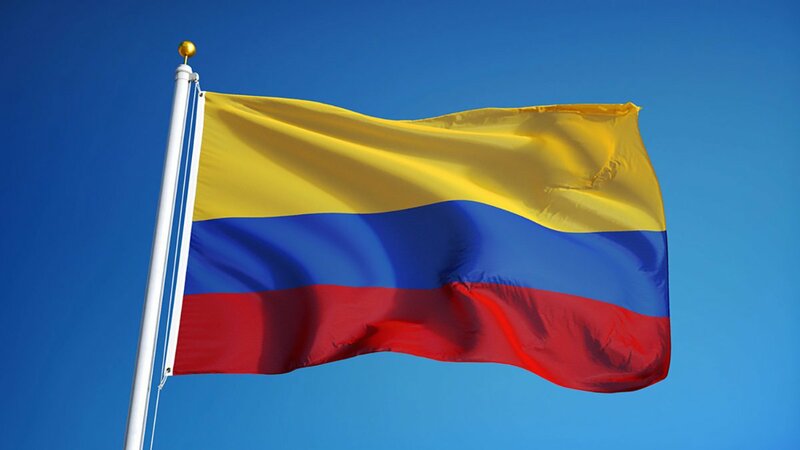 Bogota – a little, Medellin, – a little and here – almost everywhere. For most of the trip the places we have stayed and travelled throuh have been plain, simple towns where there is no beaten track. I’ve been trying to think of a comparison. My solution is Tow Law, a place high in the Pennine moors close to where I grew up, where no one goes to stay, they only pass through on the A69 and yet thousands live there. Each time I travelled through it I wondered why are they here? But the riding and climate out here gives it the edge. Perhaps the greatest symbol of the division between Cartagena and the rest of Columbia is moored in the harbour. 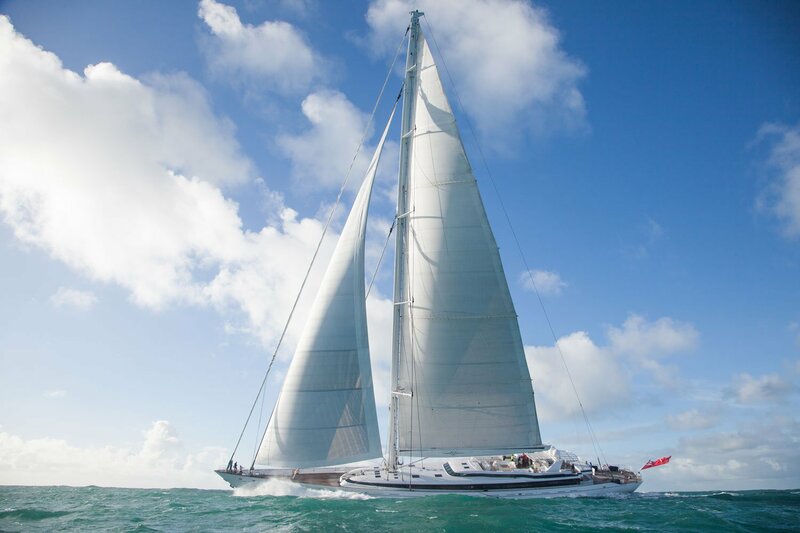 The MV 5 Ramsey, a 77 m long, $60m superyacht fitted with the world’s highest (90m) single mast – too big to fit into one of my photographs. This is the end of our marvellous trip across part of Colombia, certainly a memorable one. Perhaps the most memorable feature of our travels other than the majesty of the countryside has been the vibrancy of the people’s impact on it. The uplifting music and the astonishing bright colour palate used to decorate their homes is perhaps exemplified by their flag – surely one of the most cheerful on the planet.